I have somehow become the mother of a three year old. I haven’t blogged for a while because I’ve been finding things tough and anything I tried to write just came off like a huge moan. Who wants to read that? It wasn’t even anything serious, just a bout of illness, a crazy work schedule for both parents and the trials and tribulations of switching from a cot to a bed. Now, though, the Terrible Twos are Officially Over. Every since he turned three on Friday, the wee man has been on sparkling form. He didn’t even scream when I got him dressed this morning (usually an epic battle). We had some wonderful, quality, family time for three days, first with Daddy being off work, then with both sets of grandparents and an auntie visiting from Glasgow for the weekend. He just loved it. He adored having his daddy wind him up, his auntie dance around with him and his grandparents spoil him – and no doubt a relaxed and happy mummy had an effect too. 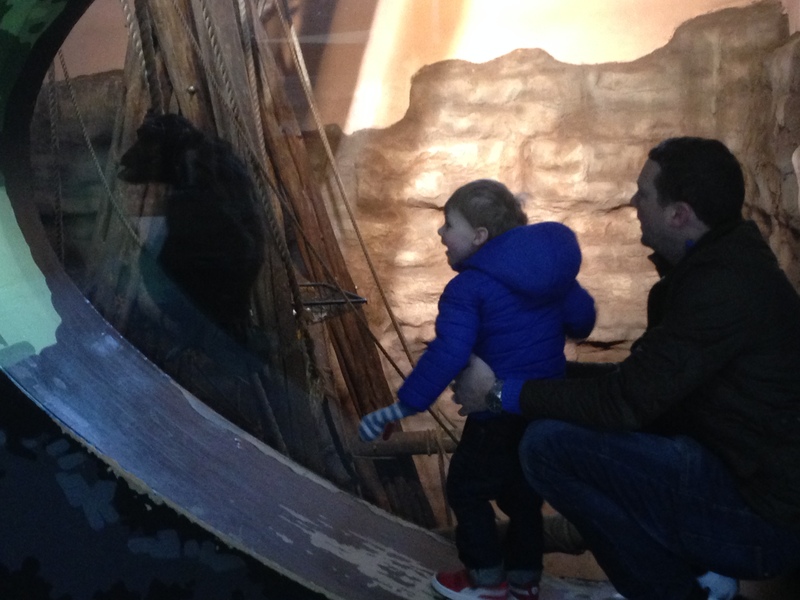 We spent Friday at Edinburgh zoo – an absolute five star hit for a small child obsessed with animals. My slight trepidation, based on an upsetting experience at Barcelona zoo last year, was quickly allayed by the focus on conservation and the wonderful design of many of the enclosures. 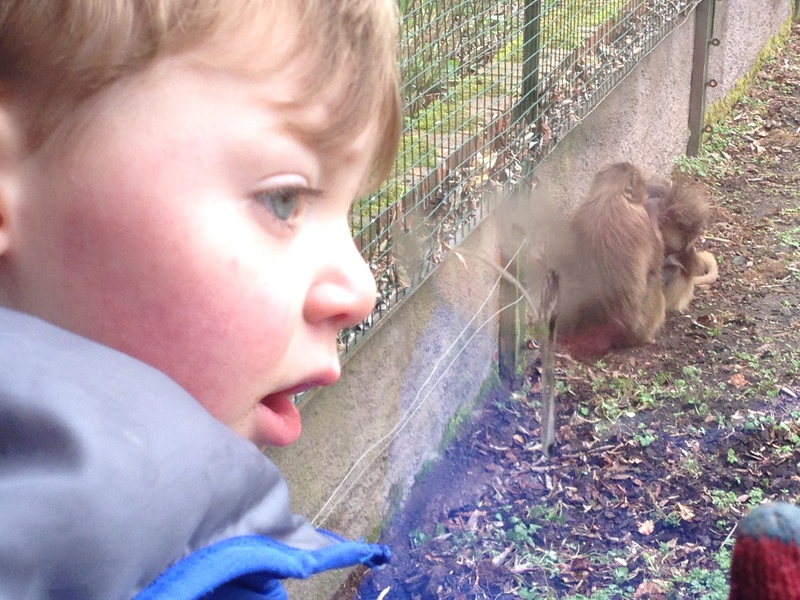 The new chimpanzee house was a particular highlight, the wee man pressed his face against the glass, waving and mimicking the noisy chimps – though he did just about sh*t himself when they got rowdy and started banging on the glass. 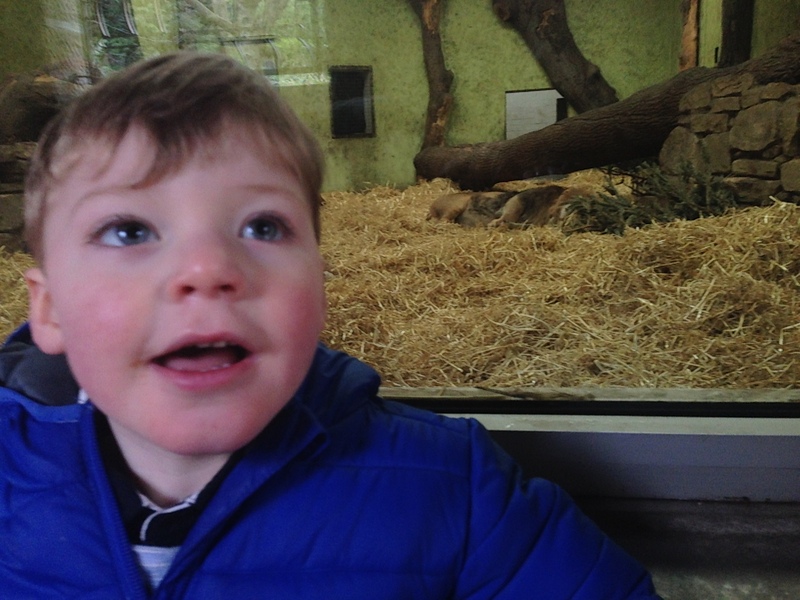 He stood in awe in the bird enclosure as they flew around him and squawked at him from nearby branches and tried to catch one as it hopped by his feet. The penguins were a big hit, especially when they paraded past, and he roared at the tiger and lions, even though they were sleeping and couldn’t care less. We met my friend Karrie and her gorgeous wee girl at a local Italian for dinner afterwards – both kids were very well-behaved and totally fascinated with each other. The wee man only thew one thing at her, and it was a cuddly panda he’d chosen for her at the gift shop, so she didn’t really mind. The party on Sunday was a triumph, even if I do say so myself! We’d arranged to rent the local community centre, a lovely new building with a huge hall and a nice cafe for the birthday tea. 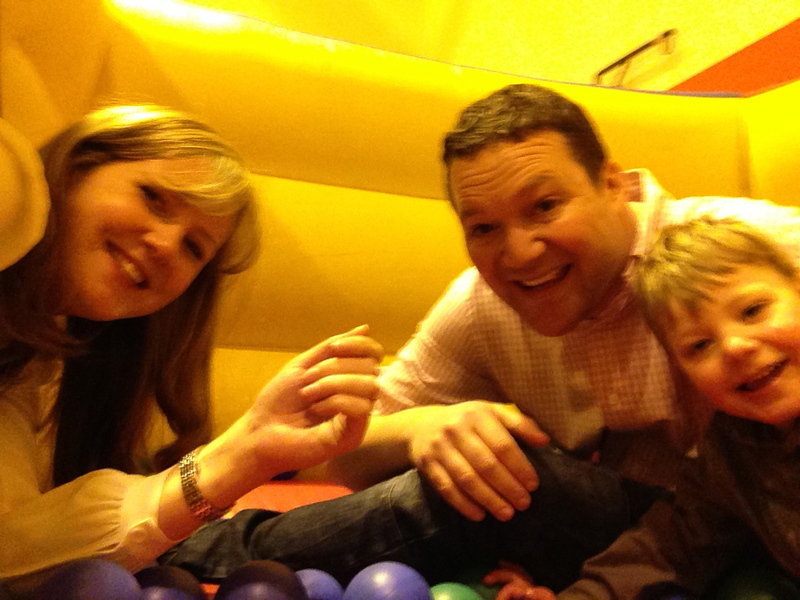 We hired a bouncy castle and ball pool, borrowed all the cars, scooters, soft play blocks, slides and climbing frames from the toddler group and just let the kids run free. 15 of them played beautifully, no fights or tantrums, and sat very nicely for the pizza we ordered from across the road and sandwiches we’d bought in M&S. 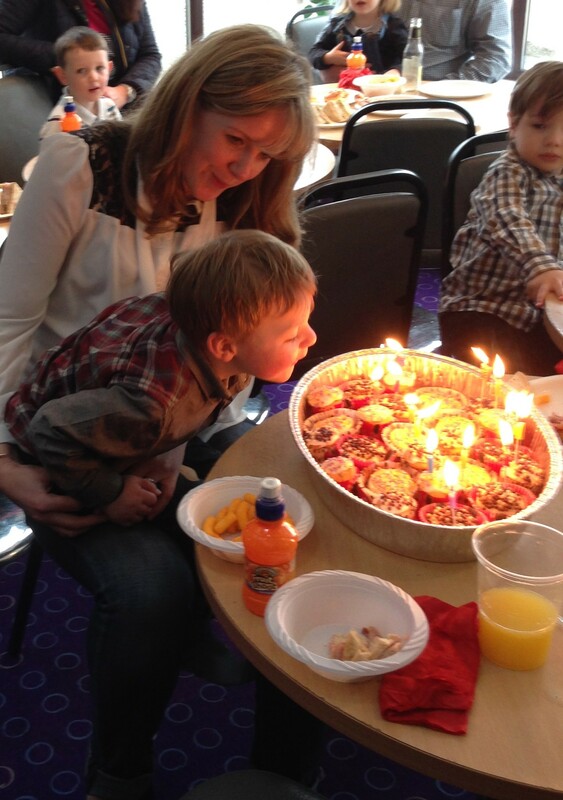 Mum had made a couple of dozen cupcakes and we stuck in the candles and sang Happy Birthday as the wee man blew them out one by one. I didn’t even cry – I was just so happy that everything had gone according to plan, everyone was having a good time and the wee man was content.